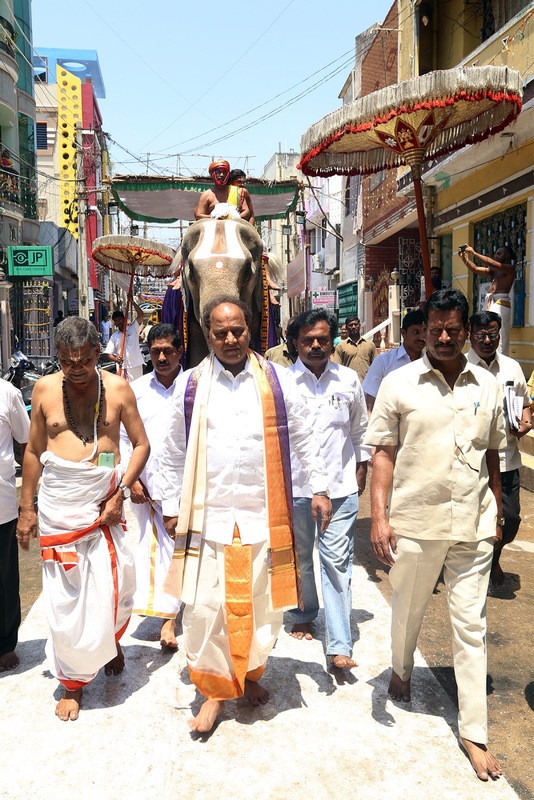 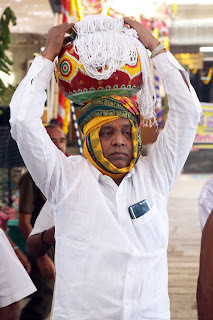 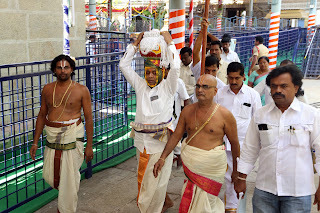 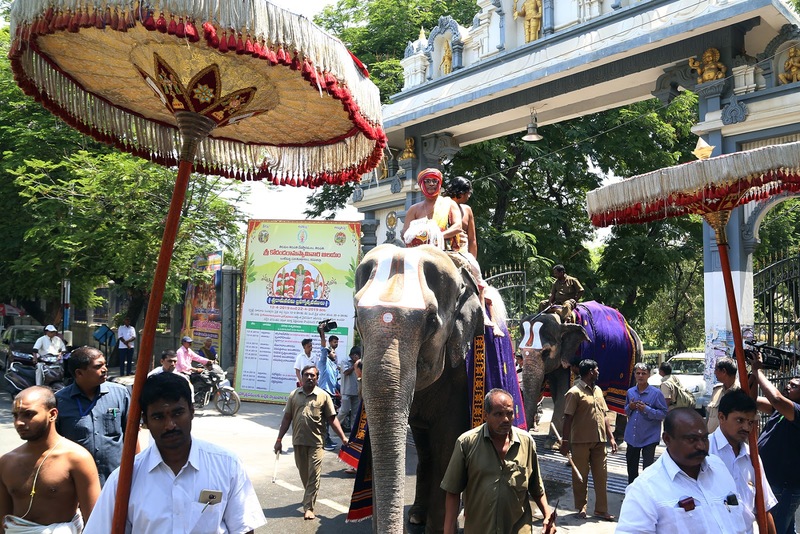 Tirupati,15 April 2019: In connection with Sri Sita Rama Kalyanam in Sri Kodanda Rama Swamy temple in Tirupati, procession of muthyala thalambralu was held from TTD administrative building to the temple on Monday. 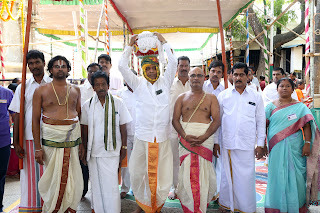 Tirumala Jeo Sri KS Srinivasa Raju took part in the puja. 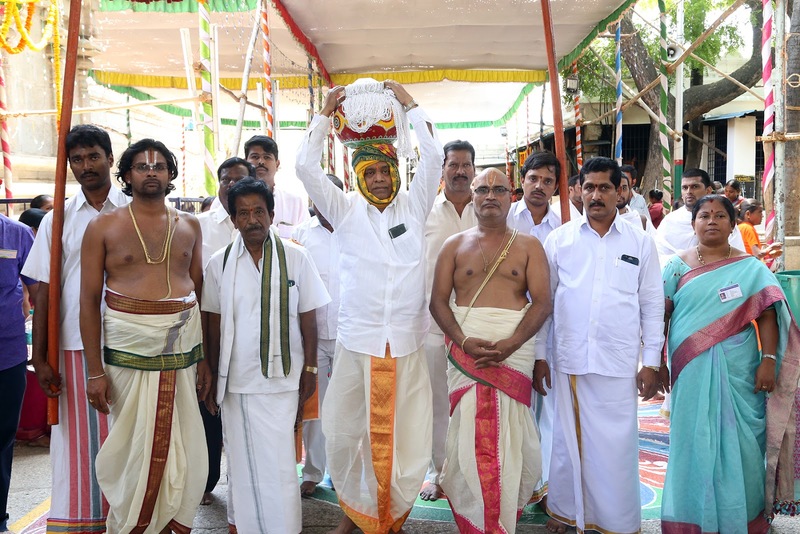 TTD FA and CAO Sri O Balaji,Addl.CVSOSri Shiva Kumar Reddy Sri DyEO Sri Sridhar, AEO Sri Thirumalaiah and others participated in the event. 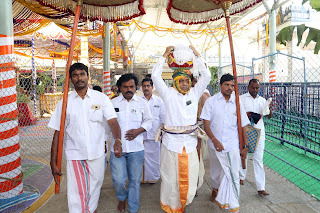 Employees also took part in the procession.